My experience attending this school was excellent. I came all the way from Costa Rica with only a wish, and now I am sure I am going to have that wish...a profitable business. The instructor is excellent. Outstanding and Excellent! The knowledge and techniques will blow you away! It's easy to pick up the tools and go, you just need to practice over and over. I can't say anything bad about my experience here. It's a once in a lifetime opportunity that needs to be taken. The sandwiches are da bomb" so fresh and tasty!" 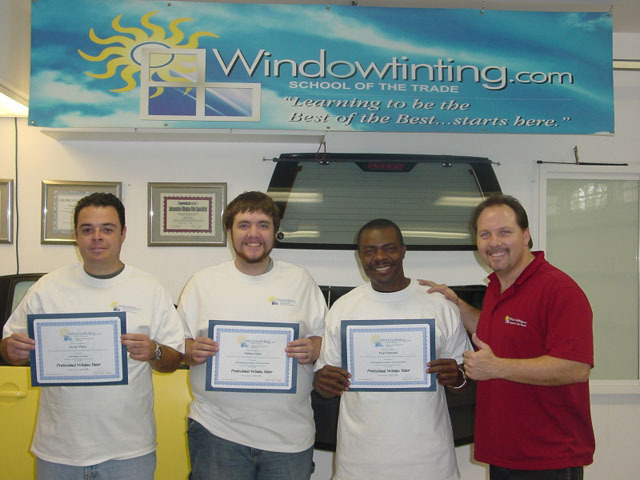 I found this school (Windowtinting.com) one of the best because Robert (the instructor) is very knowledgeable. He knows what he was doing throughout the whole program. I really appreciated the school and will recommend this to someone looking for a great tinting school!